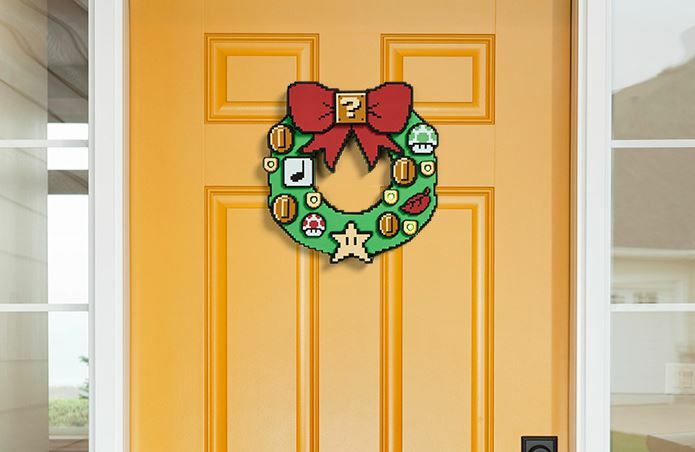 This Cool Nintendo Super Mario Light-Up Wreath is sure to brighten up your holiday decor. If you are a fan of vintage gaming you will love this because it means you can decorate in a style that is right for you. Decorating for the holidays is a lot of fun because there are so many options. There really is no right or wrong choice so you can go with whatever appeals to you. You can find decorations to suit almost any theme because there are so many available online. This cool wreath lights up and is sure to impress everyone who sees it. You will love how unique it is and so will your family and friends. It is very easy to hang because on the back there is a keyhole slot for convenience. There are five blinking LED lights inside the wreath. To power it you will need two standard AA batteries. The batteries are not included but this is a standard size so it is likely that you may already have some. There is an on and off switch so you can preserve battery life by turning the wreath off at any time. 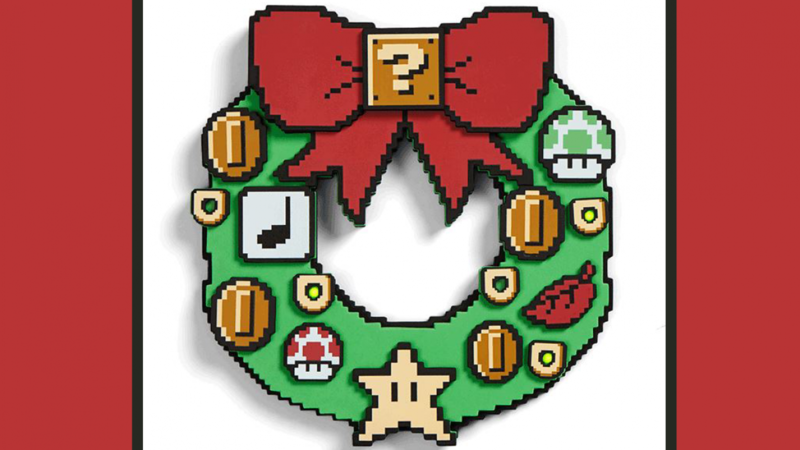 This is a wonderful holiday decoration and a great holiday gift for a gamer. If you like this cool product then you may also like to check out the following.